Draw a tapered brush along the sash, barely lapping the glass. 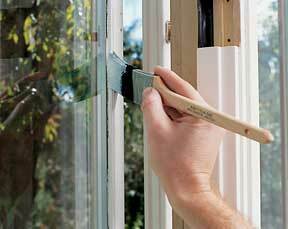 When painting windows, choose an angled sash brush, which will reach into corners. 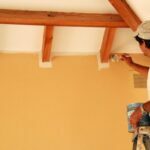 Load the paintbrush lightly and guide it in a straight and smooth manner. 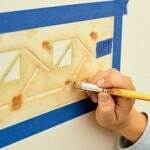 Use a tapered sash brush, lightly loaded, on the frames. Let the paint lap slightly onto the glass. This will seal the finish to the glass so condensation will not get under the paint and cause it to peel. 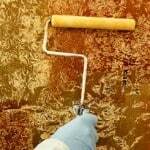 Then wipe off the excess paint with a rag wrapped around a putty-knife blade. If the sashes are removable, lift them out and lay them on a table to paint them. Be prepared to leave the sashes out long enough to dry thoroughly (at least 24 hours). If they are not removable, raise and lower them as needed to reach all the window parts. 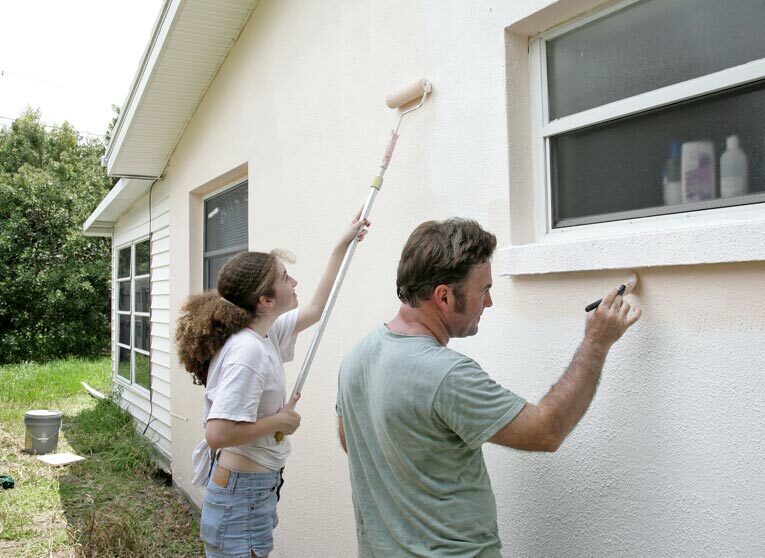 Paint the outer, or upper, sash first. If the window has small glass panes, begin with the horizontal muntins and then work on the vertical ones. Next, paint the exposed parts of the stiles, the top rail, and the bottom rail, in that order. Then paint the parts of the inner, or lower, sash, starting with the muntins and finishing with the rails. When painting the trim, begin with the head casing and then paint down the sides. Next, paint the stool, and then finish by painting the apron. First paint any vertical muntins and then any horizontal ones. Next, paint the top rails, the bottom rails, and the stiles, in that order. Finish the job by painting the casing. No matter what type of window you have, do not paint the jamb. This may cause the window to stick. After you paint the window, if the jamb is made of wood, wax it with floor wax. This is unnecessary for a metal jamb.